There is a vital role played by rest in your productivity in the workplace. A company retreat will leave employees feeling invigorated and ready to work. From time to time, to increase productivity in the workplace it’s nice to take a break in the form of a company retreat. Working can become boring and monotonous and it’s always a good idea to have a retreat occasionally for the employees. This can be done once in four months and can be for about three days depending on the company. 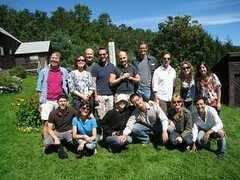 On retreats, employees can relax and get to know each other on a more personal level. This will strengthen the work relationships and ignite a new atmosphere when back at work. Employees can also develop strengthened relationships with their employers, as well. This will increase their productivity in the workplace. Deciding on the right place to go is essential. It needs to be a place where everyone feels relaxed. It’s recommended to go to a place where there is nature and a lot of fresh air. It’s good to ask the employees where they would like to go to take a break. During the break, it’s good to play team-building games. These are great ways of helping employees work together in a fun environment. When they go back to the working environment, they can reflect on how well they worked together. Taking employees on retreat is very good at increasing productivity in the workplace as it encourages teamwork and cooperation.